Welcome to South Africa! Arrive late in the evening and check in to your hotel. 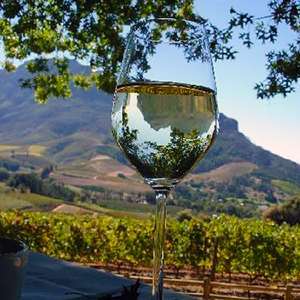 Start your PRIVATE GUIDED TOUR with a CABLE-CAR RIDE up Table Mountain (weather permitting). Here, enjoy stunning views of the city and surrounding area. Next, stop at Boulders Beach and visit a COLONY OF ENDANGERED AFRICAN PENGUINS, known for the unique sound they make. After lunch, continue on to CAPE POINT NATURE RESERVE. Stop at the Cape of Good Hope and Cape Point, the southwesternmost point of the African continent, for incredible panoramic views. On your return journey, skirt the rocky coastline as you ascend Chapman’s Peak Drive, one of the most spectacular drives in the world, then continue through the fishing village of Hout Bay. The evening is at your leisure in Cape Town. Today, fly to the KRUGER NATIONAL PARK AREA and transfer to your lodge in a private game reserve. The Kruger area is famous for its abundance of wildlife, so you have a great chance to see the “Big 5”—lion, leopard, elephant, rhino, and Cape buffalo. Other animals you may see include kudu, impala, giraffe, hippo, cheetah, spotted hyena, wildebeest, bushbaby, and more! This afternoon, embark on your first GAME DRIVE and stop for a SUNDOWNER DRINK as the sun sets over the bushveld. Enjoy two full days of game viewing in this wondrous land. Wake up early for a MORNING GAME DRIVE in an open-air, 4-wheel-drive Land Rover. Your skilled, professional Ranger will help you learn about this special ecosystem as you view wildlife up close. After breakfast at your lodge, take advantage of free time to swim, read, or enjoy a drink at the bar. Tea will be served prior to your AFTERNOON GAME DRIVE. As the sun sets, stop for a SUNDOWNER DRINK in the bush. Return to your lodge in time to freshen up before dinner. Enjoy one last GAME DRIVE this morning before flying to Johannesburg. The remainder of the day is at your leisure. Today’s PRIVATE SIGHTSEEING TOUR starts with a visit to the unforgettable APARTHEID MUSEUM. Here, you will learn about the founding of South Africa before delving into the apartheid years. Continue on to SOWETO (South Western Township), the largest township in the country. You will see the Hector Pieterson Memorial, dedicated to the 12-year-old boy killed by police during a demonstration in 1976, and the neighborhood that was home to Nobel Peace Prize winners Archbishop Desmond Tutu and Nelson Mandela. Visit MANDELA HOUSE to gain perspective on life here. 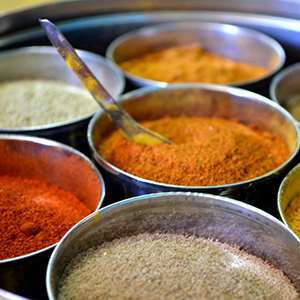 Enjoy lunch in a local restaurant before transferring back to your hotel for time at leisure. Today, fly to Zimbabwe. This evening, enjoy a CRUISE on the Zambezi River, which affords you a great opportunity to photograph wildlife and a spectacular Africa sunset. Today, visit mighty VICTORIA FALLS for an awe-inspiring experience. Enjoy a PRIVATE GUIDED WALK, where you will learn the history of the falls and hear fascinating details about the surrounding flora and fauna. The remainder of the day is at your leisure. 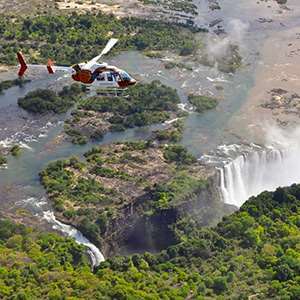 You may choose to take a helicopter ride over the falls. Today, fly to the famed OKAVANGO DELTA. This vast area features various ecosystems—wetlands, mopane forest, flood plains, and dry savannah woodland, making it ideal for game viewing. After settling in, embark on an AFTERNOON GAME ACTIVITY. Shared game activities in the Okavango vary by lodge/camp. Enjoy MORNING & AFTERNOON GAME ACTIVITIES today. Spot cheetah, hyena, impala, Cape buffalo, and more. If you are lucky, you might even see the reclusive leopard. 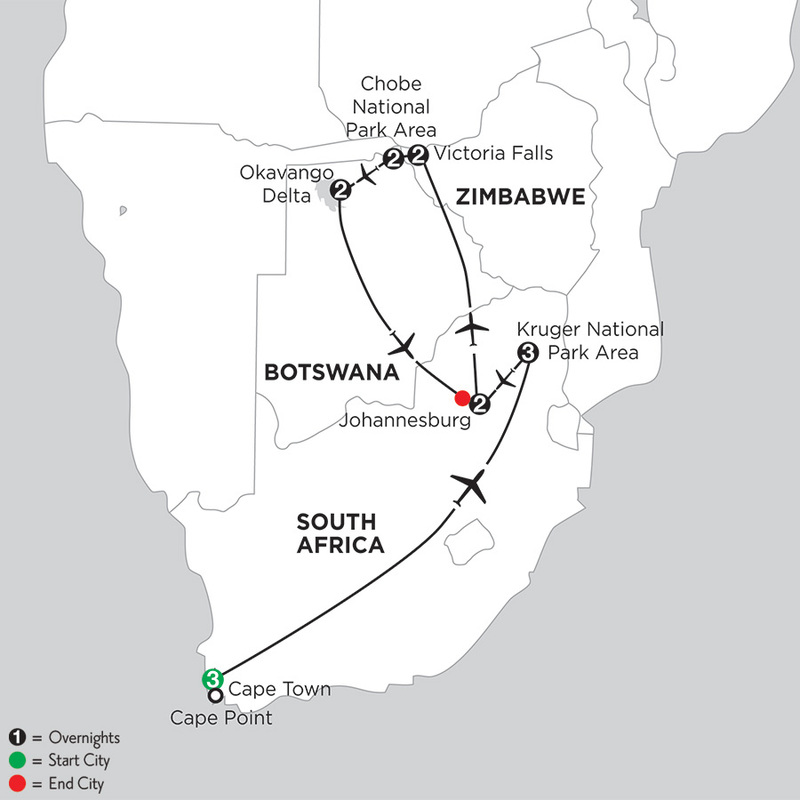 Your stay in Botswana ends with a flight to Johannesburg (via Maun) to connect with your homebound flight. Book homebound flights after 5:30 pm. Cape Town, Johannesburg & Victoria Falls: private vehicle; Kruger National Park area: shared 4-wheel-drive safari vehicle; Chobe & Okavango: shared game activities (varies by lodge/camp); private road transfer from Victoria Falls to Chobe; private (Cape Town, Johannesburg & Victoria Falls) or shared (Kruger area, Chobe & Okavango) airport transfers to/from intra-vacation flights; intra-vacation flights not included. Garden Court Sandton City, is ideally suited in Johannesburg's northern suburbs. Urban design creates and informal and relaxed atmosphere while the staff provide outstanding service. An outdoor swimming pool and bar make for great areas to rest after a day of sightseeing. Centrally located within easy reach of shopping, restaurants, and entertainment. The hotel¿s 444 attractive, contemporary en-suite rooms are equipped with amenities which include air- conditioning, free Wi-Fi, flat screen television, and coffee/tea maker. Scenic ambiance, diverse wildlife, warm hospitality - Kadizora Camp delivers a memorable Okavango Delta experience. The bar, lounge, reception, and dining areas encircle an intimate fire pit - the perfect place to gather and relax after an exciting day of game drives, while decked walkways lead you to the refreshing pool for outstanding views over the flood plain. Tucked away in a remote part of the northern Okavango Delta. Overlooking a panoramic seasonal flood plain, it is shaded by a canopy of giant marulas, sycamore figs, jackalberries, and rain trees. Kadizora Camp features 10 luxury tents that are havens of privacy and seclusion. Each spacious tent features an ensuite bathroom with a bathtub and shower that opens to the outdoors, deck, sitting area, desk, and a private viewing deck with spectacular views for a true "Out of Africa" experience. This hip, centrally located hotel features a stylish rooftop bar and pool, a restaurant, gym, and guestrooms with complimentary Wi-Fi and modern amenities. Situated on the corner of Buitengracht and Strand Street, SunSquare City Bowl is a hot new property in Cape Town's city center. Bright, modern, and spacious guestrooms come fully appointed with air-conditioning, minibar, coffee/tea-making facilities, cable/satellite TV, an in-room safe, complimentary Wi-Fi, and more. The Maslow is packed with state-of-the art facilities ranging from an alluring bar, a tempting bistro, calming lounges, and luxurious guestrooms. Make yourself at home in this oasis with beautiful gardens, water features, and crisp blue pool. All of this within a short distance of the Gautrain Station and Nelson Mandela Square. Located in the heart of Sandton and just a short walk to Mandela Square with its shops and restaurants. The 281 air-conditioned guestrooms are decorated in a neutral palate blending elegant comfort, modernity and high-tech equipment. Each features luxurious linens, high ceilings, extra length beds, blackout curtains, and a workstation with free WiFi access. Built in 1984, the hotel is every inch a grand property, offering guests the ultimate "red carpet experience". This is punctuated by staff who strive to provide superb VIP treatment for all who pass through the doors. Situated in Sandton, the heart of Johannesburg's new Central Business District, guests are perfectly located within easy reach of the city's finest entertainment and leisure amenities. Located in the Sandton area with direct access to shopping and the many fine restaurants and bars in Mandela Square. The 334 luxurious rooms each feature modern amenities and world class creature comforts, making your stay at the hotel one never to be forgotten. A hotel in the heart of Sandton with a classic English country-style decor and comfortable rooms. The lush gardens and swimming pools offer an oasis in the city where one can relax and unwind while still being close to Johannesburg's top attractions. Just a short walk away are Sandton City Shopping Centre and Mandela Square with many restaurants and shops. The Protea Hotel Balalaika Sandton is a tranquil oasis of country estate in the heart of the business and entertainment hub of Sandton, just outside Johannesburg, South Africa and approximately 30 minutes from O.R. Tambo International Airport. All 330 rooms at the Protea Hotel Balalaika are tastefully decorated in an English country style and offer a home away from home for the discerning guest. Each spacious guestroom offers the normal amenities one would expect in a hotel including air-conditioning, TV, and in-room safe. Camp Moremi offers an intimate experience with just 11 tents. An elegant, elevated thatch and timber structure serves as the main building comprising a main sitting area, wildlife reference library, dining room and cocktail bar inviting a true sense of the African wilderness. Other facilities include a secluded swimming pool with sundeck and thatched boma where brunch and high tea are served. Game drives in open 4x4 vehicles and game viewing by motorboat. Electricity is provided 24 hours a day. Located on picturesque Xakanaxa Lagoon on the eastern edge of the Okavango Delta in Moremi Wildlife Reserve. Accommodating just 22 guests in African-style safari tents, each individually sited on a raised teak platform with private adjacent facilities and viewing deck, most offering unsurpassed views of the Xakanaxa Lagoon. Situated on the edge of the Gomoti river system is Gomoti Plains Camp with 10 luxury tents. Built in a traditional style the tents and and main area are slightly raised on wooden decks overlooking the Gomoti river system. The area is known for its large concentrations of wildlife which thrive on the Gomoti plains and waterways. This wild and pristine area has over the years produced some phenomenal wildlife encounters including the filming and studying of the African wild dog packs which inhabit this area. 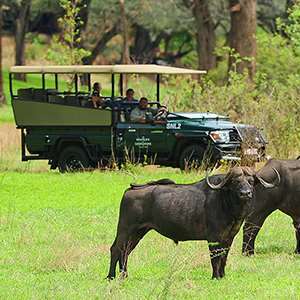 Travel the waterways by motor boat and mokoro and traverse the Gomoti plains enthralling in the dense wildlife concentrations of the Gomoti area. On the edge of the Gomoti river system, the Gomoti Plains Camp is set up in all its splendor. The area is sought after for the high concentration of wildlife and great chances of seeing larger predators on the plains and waterways, as well as herds of elephants and buffalo. The 10 tents are decorated in a classic safari style incorporating the land and water of the Okavango delta which make up this beautiful land. Luxurious, comfortable, classic. All tents have ensuite bathrooms with hot and cold running water, indoor and outdoor, and dual sinks. Electricity in the tents is reserved for lighting and charging of batteries. Monograms provides travelers access to a Local Host®, so you will have someone on hand to answer those vacation questions pertaining to Johannesburg, South Africa. No waiting in line at the concierge desk or trying to ask your waitress at breakfast directions to the shopping district. Simply ask your Local Host® about Johannesburg and you'll be on your way in no time. 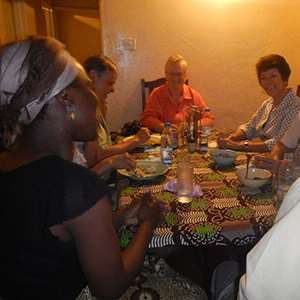 Plus, your Local Host® will share local Johannesburg and South Africa insights and share suggestions for getting off the beaten path, leaving you more time to create lasting vacation memories that are yours alone. Ian is a proud South African who has been guiding since 1999. Ian loves animals and over the years he has obtained a comprehensive knowledge of the animals of South Africa, their habits and environments; especially whales, great white sharks and elephants. Ian’s diverse career history stretches from working in the largest winery in South Africa, owning and running an advertising company for 10 years, to selling power transmission equipment from USA. As a tour-guide Ian feels he has found his niche in life and that is to show visitors a truly wonderful country! This nature reserve features over 600 species of flowering plants, 210 species of birds, as well as a number of reptiles and small mammals. Designed by British architect Sir Herbert Baker Built in 1913 to accommodate the offices of the Prime Minister the buildings now house the offices of the State President. Set in terraced gardens modeled on the famous Villa d’Este at Tivoli near Rome, Italy, you can take in magnificent views of the city or visit the Delville Wood memorial commemorating South African soldiers who died in the Battle of Delville Wood in World War I. President Paul Kruger lived in a house situated just three blocks from Church Square, from 1884 until 1900. The Victorian gabled house – which represents a simplified version of the neo-Gothic style - is a museum and displays his furniture, stagecoach, private railway coach and all of his personal effects. A few hundred meters to the west, is Pretoria’s Old Cemetery, Helde Akker (heroes’ acre) where President Kruger lies buried. Situated 40 km to the northwest of Pretoria, the Tswaing Meteorite Crater is known as the Pretoria Saltpan. One of the best-preserved meteorite craters in the world, this crater is home to a few stone artifacts of the Late Stone Age as well as an impressive wetland.